pole fixed in position by guywires), a charge controller and a battery bank If the loads demand AC supply, an inverter for converting DC to AC will be necessary 2) Are small wind turbines noisy9 Ans. Depending on the our special design, our turbines are quieter than the others 3)How can I connect small wind turbine to the AC distribution system of a building or a site9 Ans. : A grid-tie inverter with specifications meeting the guidelines given in the technical guidelines on grid connection of small scale renewable energy power systems and the requirements of the power company, is needed for converting DC output of the small wind turbine into AC for grid connection 4)Do I have to lower a small wind turbine when typhoon is approaching9 Ans. (1) The warranty period is start from the date of shipment which show on the bill of loading or air waybill. 1. Q: How your permanent magnet generator work9 A: Our generator need to be drive by other energy, like wind power, water power, belt, etc, then it can generating electric power. Please tell your detailed request (power, rpm, voltage, size, color) to our sales, we will made the generator according to your request. Chengdu Forster Technology Co., Ltd.
Dowlutrao visited our company from Mauritius. Senthil visited our company from India. Vicente visited our company from Spain. Guangzhou FP Machinery Co., Ltd.
Zhuji Hiest Magtech Co., Ltd.
6, Electrical wiring adopt "fool" type assembly, by simply connecting the plugs according to the marks, it can prevent wiring error. 14, Shell adopts special casting material, the metal combination with high corrosion resistance and can be used for high corrosion area. 15, The machine strictly sealed before out of our factory, defending dust, and salt fog, the rain into inside of motor, fan internal and external adopted the thermal unique structure. Shanghai Sicea International Trading Co., Ltd. The structure is compact, no carbon brushes, do not need excitation,no spark, no need to change carbon brushes. 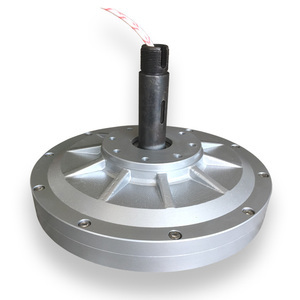 2: No field winding,The rotor is high intensity, which makes the motor get higher speed. 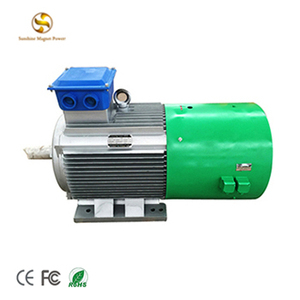 8:You can change the motor voltage, speed, power and other parameters, the out size of the motor can also be changed. Alibaba.com offers 7,814 permanent magnet alternator generator products. About 77% of these are alternative energy generators, 6% are diesel generators, and 6% are gasoline generators. A wide variety of permanent magnet alternator generator options are available to you, such as wind power generator, permanent, and solar generator. You can also choose from paid samples, free samples. 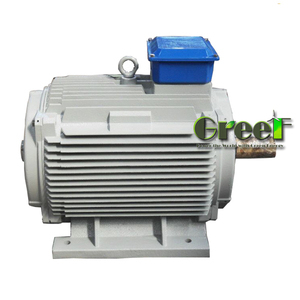 There are 7,669 permanent magnet alternator generator suppliers, mainly located in Asia. The top supplying countries are China (Mainland), India, and Taiwan, which supply 99%, 1%, and 1% of permanent magnet alternator generator respectively. Permanent magnet alternator generator products are most popular in Southern Europe, Western Europe, and South Asia. You can ensure product safety by selecting from certified suppliers, including 1,578 with ISO9001, 805 with ISO14001, and 712 with OHSAS18001 certification.